Today on Friendly Friday I am chatting with my dear friend Lisa Fetterman! I was asked to speak at Startup Fest Montreal last summer and the hosts flew me up to Canada along with a group of San Francisco-based founder speakers. When I boarded our plane, a hilarious and magnetic woman named Lisa Fetterman introduced herself and we became instant friends. Lisa is the type of person that I love to have in my life – outgoing, full of life, driven, friendly, captivating and HILARIOUS! I did not stop laughing the entire trip. You will want to tune in. But Lisa is not just an entertainer, she is a talented entrepreneur, culinary visionary and author (Sous Vide at Home), and she is a supportive friend who is genuinely interested in helping people. Lisa has been featured in Wired, Make, Forbes, and was named on Inc, Forbes, and Zagat Survey’s 30 Under 30 lists for her pioneering work in the food space. She has worked at some of the top restaurants in the country including Babbo and Jean-Georges in New York and Saison in San Francisco. I am so proud to introduce you to my friend Lisa and her budget-friendly Sous Vide, Nomiku! In your own words, explain the purpose of Nomiku and what you all do? The purpose of Nomiku is to eradicate every obstacle between you and a delicious meal and we essentially are Nespresso/Keurig for dinner without being an environmental disaster. 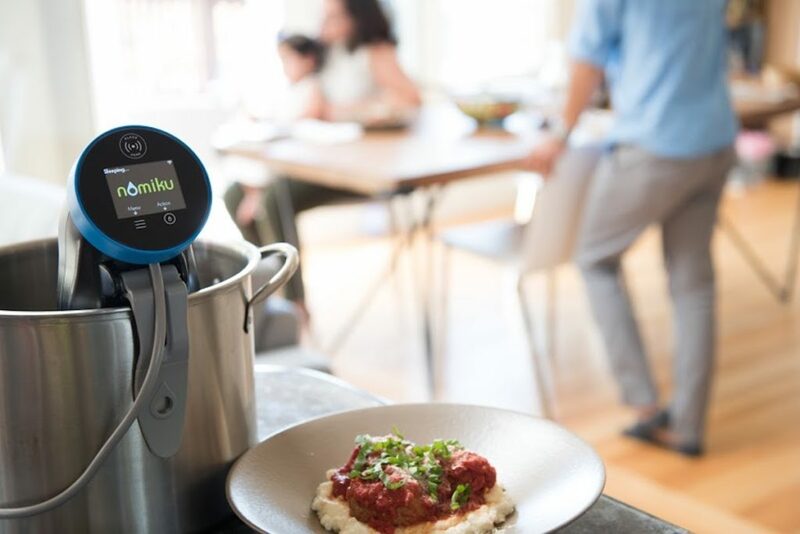 We partner with Michelin Star winning restaurants like Mourad and Mister Jiu’s to make meals that you can just wave in front of our sous vide machine and it will instantly recognize it making it easy to be able to go from freezer to plate in 30 minutes. 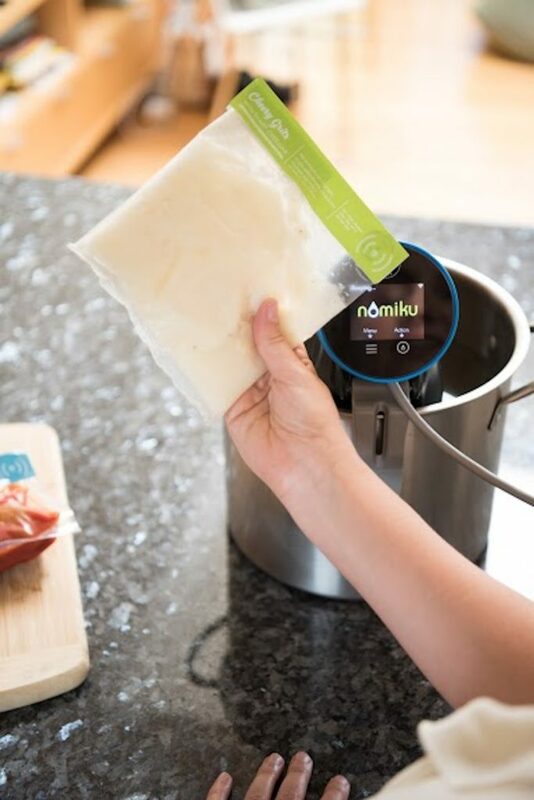 The Nomiku sous vide can hold your meals for four hours after it’s “Ready-to-Eat” without overcooking it! There’s no cleanup, planning, or dietary restriction gymnastics required. If you also love to cook you can use our machine as a stand-alone sous vide cooker as well. What was the inspiration behind Nomiku? 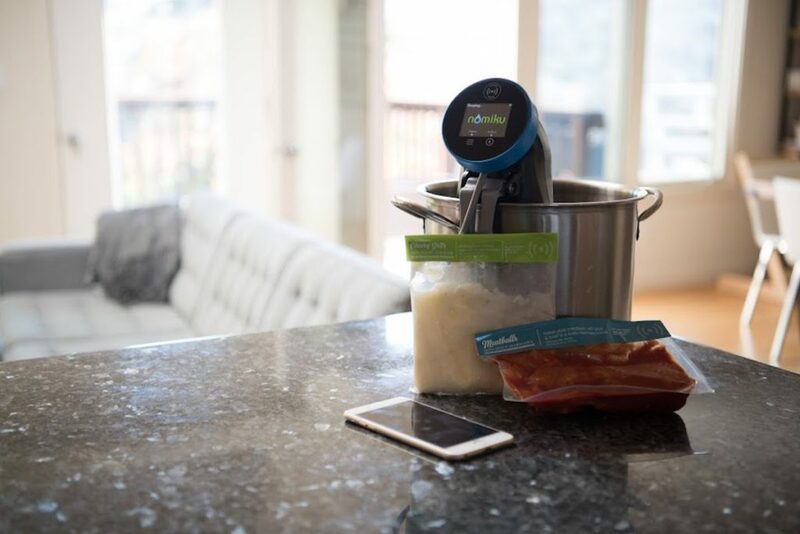 We invented the home sous vide immersion circulator in 2011 and have written two bestselling books on the subject, “Sous Vide at Home” and “Sous Vide Made Simple“. Running a startup with a big family (my mother-in-law, husband, two young kids) is pretty intense and dinner time got really tricky. 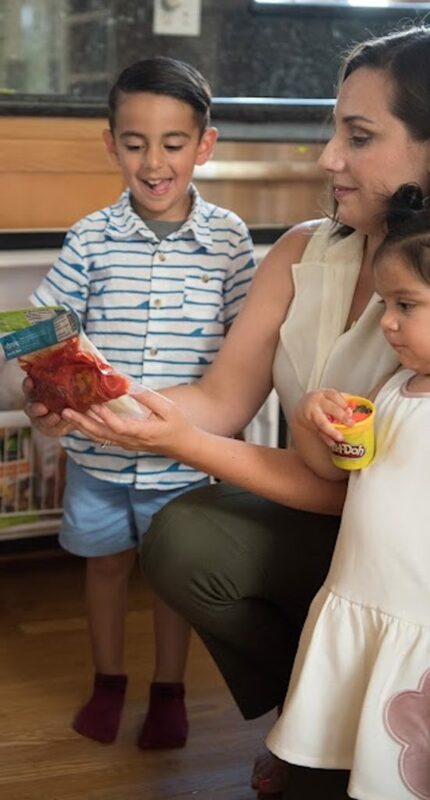 My MIL is dairy-free, my husband is vegetarian, my son has PKU which requires us to keep an eye on his very special diet, and my daughter is 19 months old so she’s all over the map when it comes to food. I ended up basically making five separate meals a night! I fantasized about the Jetsons solution where everyone got to eat exactly what they wanted and they could sit down at the same time and I thought hey… wait a minute, Nomiku can totally do that! We already have the machine and we’ve got the tech and food chops to make this happen. We kicked off the food program to go with the machine and I’ve never worried about dinner again! I love our latest chef collaborations! Amongst our mainstays I’d have to say I find myself reaching for our shells and cheese just as much as my kids do. We use Munster and Aged Cheddar so there is a depth of cheesey umami there that I’m absolutely addicted to. The Wagyu brisket is amazing, it’s luxurious and the brisket seasonings are the perfect spice blend to cut through the fat. Finally, the minestrone soup is a great answer to the lunchtime salad, there’s something about soup, especially one that’s chock full of hearty veggies, that makes me feel completely nourished. My favorite part about what I do are the people who help me build it whether it’s these amazing top chefs, our wonderful team, or customers— I’ve met the best people on this journey! Every day is a new adventure and an opportunity to learn something new and that really makes me happy. The most delicious collaborations on earth! We can’t wait to partner with more creative chefs— I love that this is basically hiring these laureate chefs to be your personal cook through technology. I’d love for you try it and let me know who you’d like to us to work with next. Right now Nomiku Sous Vides are $249 at Williams-Sonoma but $99 on our website when you try $79 worth of food. Take $25 off on us with the code “LIKETOKNOWVIP” at checkout, it expires after this weekend.